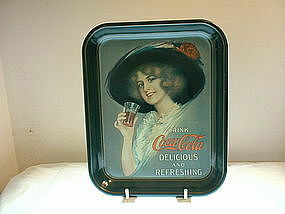 This 1972 reproduction Coca-Cola Tray is available for purchase. The tray is new with some scuff marks on bottom edge. It has not been used. It was on shelf for display temporarily. Any questions please email or call. 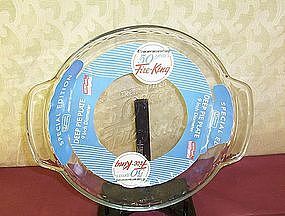 Will add $5 for packing/handling plus postage to your zip. 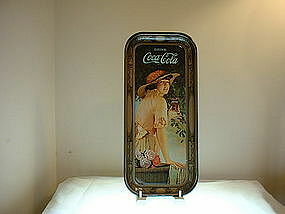 This 1972 Reproduction Coca-Cola tray has been packed away for several years. It has NOT been used. Any questions please email or call. Will determine postage by zip code and will charge $5 for packing/handling in addition to the postage and insurance rates. Thank you. 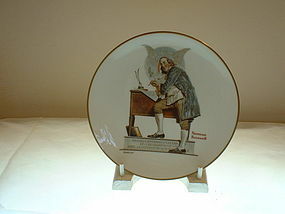 1976 Limited edition Benjamin Franklin signing the Declaration of Independence commemorated America's Sesqui Centennial collectors plate featuring Norman Rockwell painting on the plate. 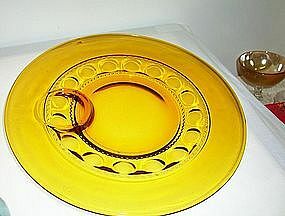 The plate is in original shipping box and has NOT been on display. Taken out of box for photo only. 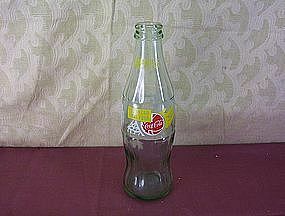 A wonderful edition to that Coke Bottle collector's inventory. an empty 1994 NCAA Final Four non-return Coke bottle. The bottle has no chips/cracks/repairs. 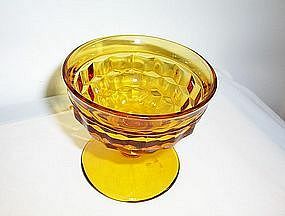 It is SOLD AS IS/USED/EMPTY> Please send me email for any questions you may have. Will ship to USA address please send zip to determine correct postage. The Coats and Clarks Book No. 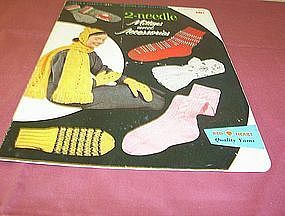 316 titled "2-needle Mittens and Accessories" is available for purchase. It is copyright 1955 and is in extremely good condition considering it has been USED and is several years old. 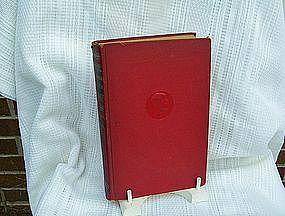 It is being sold AS IS/USED CONDITION WITH NORMAL SIGNS OF WEAR/TEAR FOR A NEEDLEWORK CRAFT BOOK. Please email me if you have any questions. Will mail to USA address for $3.00. Carl Sandburg's book "Abraham Lincoln The Prairie Years- l Volume One" The Sangamon Edition published by Charles Schribner's Sons, NY copyright 1926 by Harcourt, Brace and Co, Inc and copyright 1925, 1926 by The Pictorial Review Co, of USA, Great Britian and Canada. The book is sold as USED with signs of wear/tear/fray/fade spine top has parts of it flaked off. The hardcover is red. Charges $6.00 for handling/packing/postage USA address. 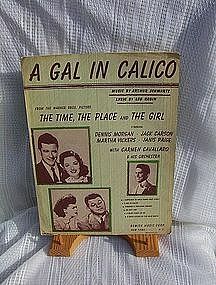 A Gal in Calico Remick Music Corp.
Sheet music "A Gal in Calico" from the Warner Bros. Picture The Time, The Place and The Girl. Music by Arthur Schwartz and Lyric by Leo Robin. Remick Music Corp, NY Copyright MCMXLVI. Music is sold as USED and does show the normal wear/tear of sheet music from useage and age. Any questions please email me. Charges $5.00 postage/packing/handling/insurance PLUS actual price paid mailed USA address only at this rate. 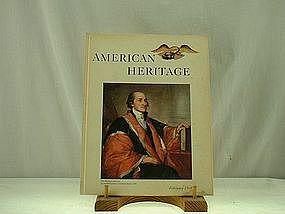 American Heritage book dated April 1962 is available for purchase. 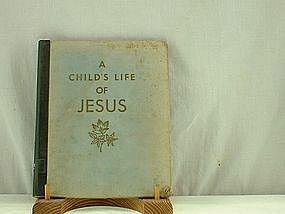 The book is sold AS IS/USED IN GOOD CONDITION that has been used by children. Shows normal wear/tear for a book of this age. Any questions please email me. Will be happy to reply. Please provide zip code to determine actual postage to your USA address. 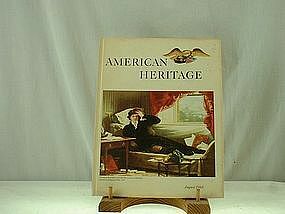 This hardback book of American Heritage is available for purchase. 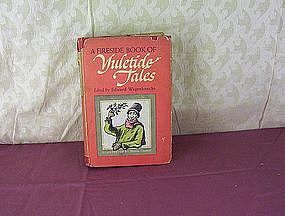 The book is sold AS IS/USED in good condition for its age and having been used by children. It has wonderful information and full of color as well as black and white photos. The inside cover has the original owner's name written in ink. Please email me any questions regarding this book. Will mail to your USA address via media rate please provide the zip to determine actual postage. Thanks. 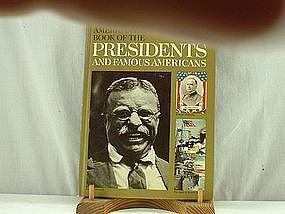 The hardback book The American HEritage Book of the Presidents and Famous Americans Volume 8 is available for purchase. The book is a hardback and SOLD AS IS/USED. Any questions please email me. The book is very informative for young and old!! 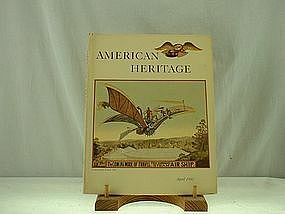 American Heritage dated February 1968 is Vol XIX No. 2 is available for purchase and is SOLD AS IS/USED in good condition. 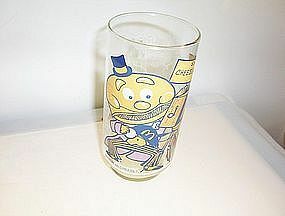 It does have some signs of use/wear/tear/ stains in lower right hand corner looks like a coffee or Coke spill. Please email me any questions you may have. Will ship to USA address via media mail please send me your zip so postage can be determined.